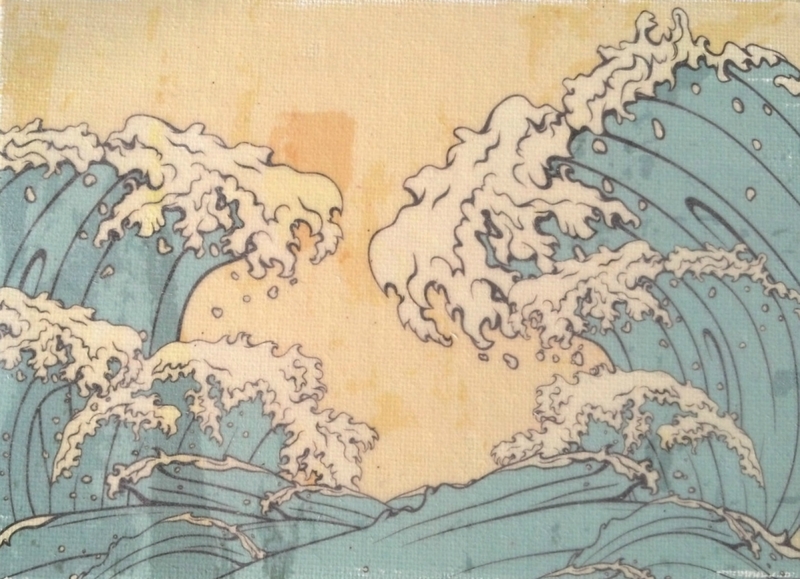 This ocean waves Japanese art 5X7 canvas panel features a Japanese style illustration of waves on a honey colored background. 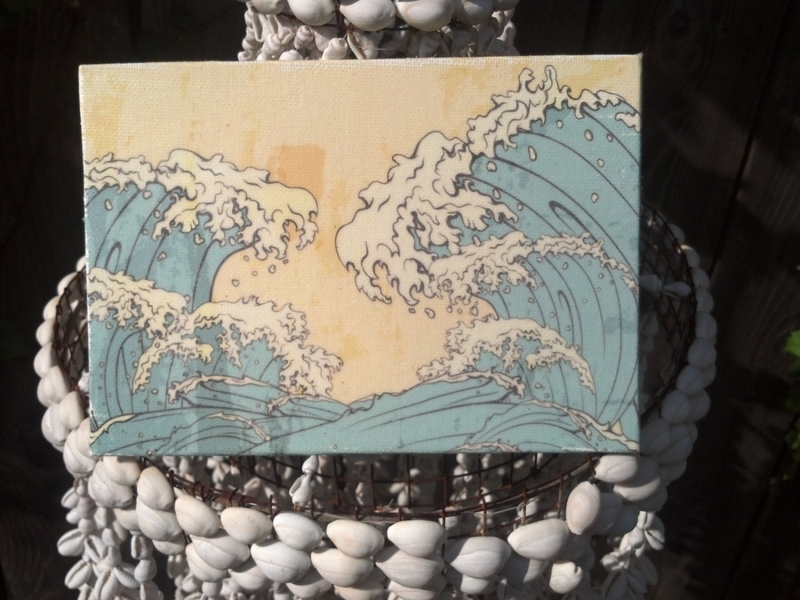 This would be a great gift for anyone who loves Japanese art or beach themed art pieces. 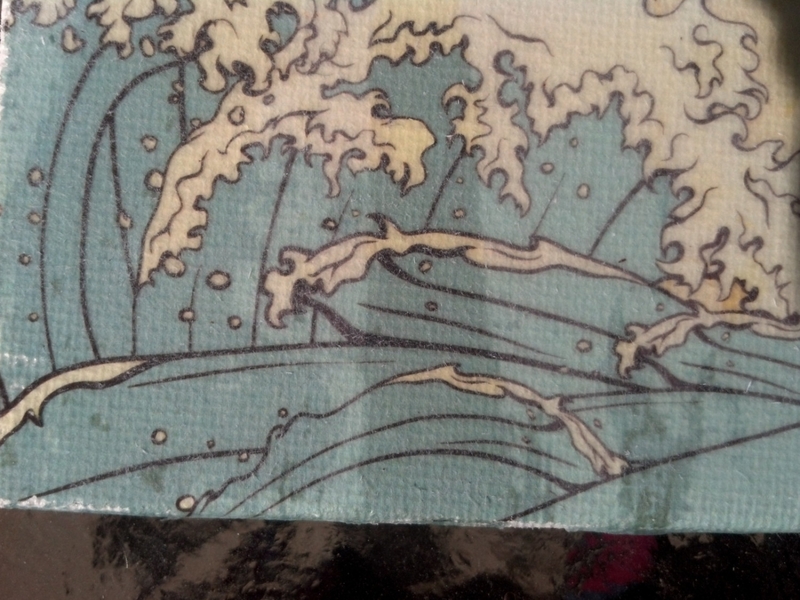 It is fitting as a 2nd anniversary gift of cotton, as the canvas used is made from cotton. 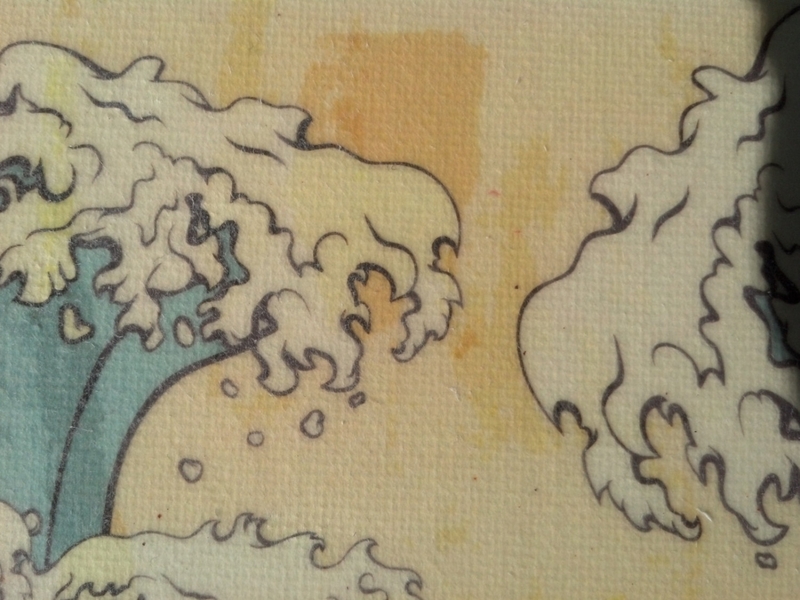 The image is created using gel medium transfer of ink from paper to canvas. Due to the unpredictability of gel transfers, the image has imperfections and an overall distressed look, adding character to the piece. 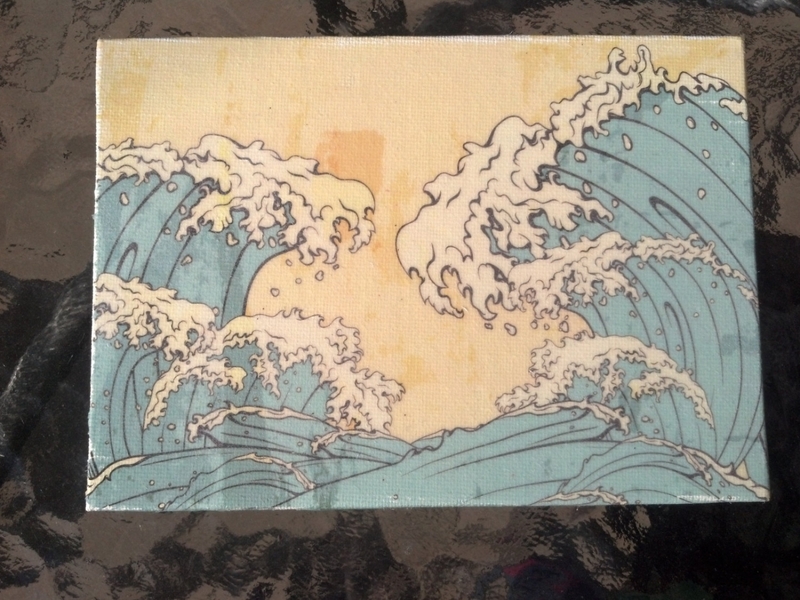 It was made with care and will add a bit of wow to your wall. This piece is unframed.